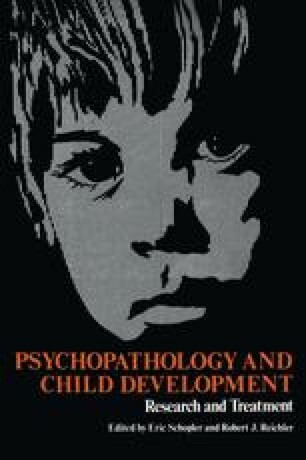 An up-to-date review of biological interventions in psychoses of childhood is presented here, together with occasional comments on efficacy based on the author’s experience. After brief mention of earlier forms of biological-organic treatment (psychosurgery, insulin, and electroconvulsive therapies), the review focuses on drug therapy. Relative prominence is given to major tranquilizers, lithium, and the hormones. Suitable information is also presented on hypnotics, anticonvulsants, sedatives, stimulants, antidepressant drugs, minor tranquilizers, hallucinogens, L-dopa, and vitamins. It is suggested that no specific drug is available for the treatment of any diagnostic category. Currently available drugs are most effective in reducing such symptoms as insomnia, hyperactivity, impulsivity, irritability, disorganized behavior, psychotic thought disorder, and certain types of aggressivity. The need for uniformity in the classification of child psychoses is stressed in light of its potential value in predicting responses of children to specific drugs.